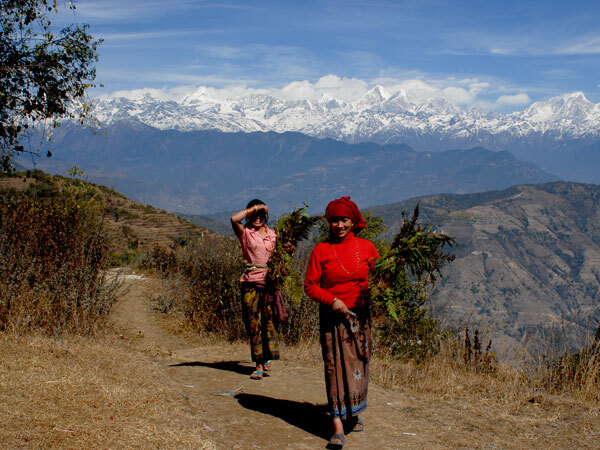 Chisapani Nagarkot Dhulikhel trekking trip is designed to provide you a unique opportunity to explore the myriad wonders of nature, rural Nepal and the awe-inspiring majesty and beauty of the dramatic mountain range. Your first destination is Chisapani where you will be enjoying the real boon of nature being away from the crowd of the city and your interaction with the villagers will add another experience. Early sunrise view at Nagarkot is the most fascinating and mesmerizing view. Dhulikhel is your next destination. Treading along the unexplored trails of Dhulikhel can be very exhilarating and enriching experience. The Stupa and shrines at Namobuddha in addition to temples at Dhulikhel are worth visiting as it will depict a holy feeling and tremendous peace in you. Max. Altitude: 2,300 M / 7,346 ft. Enjoy the view of the mountain from Chisapani. 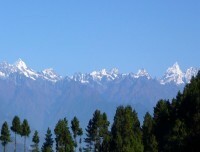 Doje Lakpa, Chova Vamre and other peaks are seen close ups. After breakfast, your trek starts and leads through Chauki Bhanjyang, which takes about 2 and half hours. Continue the charming trails leading us towards Nagarkot. The total walking duration is about 6 -7 hours. Nagarkot, is by far one of the most popular destination for the sunrise and a view of the Himalayas. In a clear day the Himalaya range, stretching from Dhaulagiri in the west all the way past Everest to Kanchenjunga in the east, emerges from the darkness to greet the happy visitor with its awe inspiring majesty and beauty. After breakfast in the hotel, start your long day walk to Dhulikhel. It is beautiful walking through in the countryside of Nepal’s rural villages. You will experience the beauty of nature altogether rural lifestyle and diverse culture. As you approach Dhulikhel, a glut of cultural diversities, traditional practices, lush vegetation and rich bird life unfolds before you. Dhulikhel (1440m.) is a small town of Newar ethnic community of the valley with a long history. The artistic skill and urban ethos of its Newar inhabitants have created a place of charm and beauty. Streets are lined with bare-brick houses, carved wooden windows, sloping roofs, pagoda temples and sacred statues here and there. The major places of worship here are the Narayan and Harisiddhi temples which are adored with profuse wood carvings. The Gokhureswar Mahadev temple, a 30 minutes walk to the eastern part of town, is a peaceful and scenic spot. The Bhagawati temple is situated at a height in the western part of Dhulikhel and dominates the skyline. From here, you can get a beautiful vista of the town and surrounding areas. From Dhulikhel, the trail climbs up to the Kali Mandir, a temple dedicated to Goddess Kali. 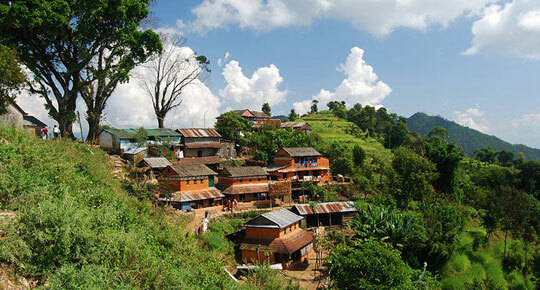 From here the trail drops down to the village of Kavre and past a line of shops and tea houses. It then climbs again through pine forest past Phulbari and up and down a couple of more hills before you reach the hill of Namobuddha. Namobuddha situated at an elevation of 1750 m is a very important Buddhist Pilgrimage located in Kavre District about 38 km east of Kathmandu. The Stupa and shrines built in this lovely little hill mark a very ancient holy site where a legendary prince named Mahasattva offered himself to a starving Tigress with several underfed cubs. This legendary episode is depicted in a stone slab and placed right next to a holy Stupa. From Namobuddha drive back by private car to Kathmandu and overnight at Hotel. Accommodation in Guesthouse in Chisapanin in twin sharing bed and breakfast basis. Accommodation in Nagarkot (Hotel Himalayan Villa or Similar) and in Dhulikhel (Dhulikhel lodge resort or similar) in twin sharing bed and breakfast basis. All food, drinks, accommodation, salary, Insurance, Medical, Equipments, transport, etc. for Nepalese staff. We wanted to trek late in the season in low altitude and choose 4 days Chisapani, Nagarkot, Dhulikhel trek with Luxury Holidays Nepal. As in other reviews we found LHN very responsive and organized the trip as per our requirements. This was a great introduction to trekking near Kathmandu Valley, through Rhododendron forests, rice terraces and small local villages as well as to Nepali tourist spots with great views out to the distant high peaks in good weather. We were very lucky to have a wonderful guide, Krishna Thapa who was with us anytime to make sure we had the best experience. He was friendly and caring as well as very experienced and knowledgeable. We’d love to come back and do another longer trek with Luxury Holidays. Thank You! 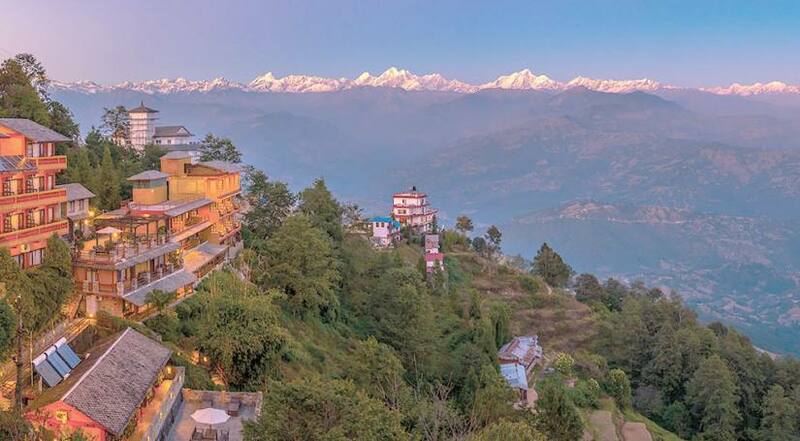 Luxury Holidays Nepal provides you luxury hotel in Nagarkot and Dhulikhel and standard Teahouse/Lodge throughout the journey. Teahouse and lodge have the rooms with just the basics, normally with a bed, blanket and pillows. We will provide you and your group at the lodge which is locally available every day. 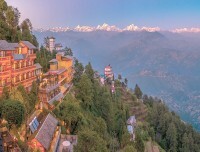 In Nagarkot(Hotel Himalayan Villa or Similar) and in Dhulikhel (Dhulikhel lodge resort or similar). Luxury Holidays Nepal will offer you private luxury vehicle for Kathmandu-Chisapani and Dhulikhel-Kathmandu. This Trek is an easy level trek so you can find the telephone and internet facilities in the most of the place.